Subtle Sunday | Ouch!! My back hurts!! I’m really enjoying these Subtle Sunday posts. Firstly… they make me think a bit. Yep, me, the loud one having to be subtle. Then, as I originally got the idea going due to one of Ailsa’s challenges I attempt to use her weekly themes in some way or another when I do my Subtle Sunday efforts. This week Ailsa’s theme is tangle. I couldn’t do much better than show you a photo taken on Friday. It just so happened to have been International Biodiversity Day so I was out in the afternoon looking for a few new sightings. This was my first sighting of a poppy for this spring. 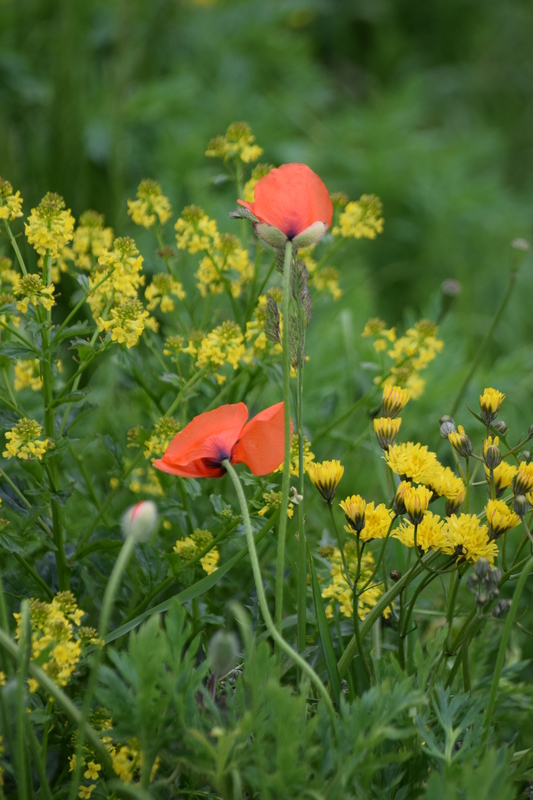 The green tangle is the lush result of spring’s new growth but the red and yellow add the subtle flavour we need to confirm that spring has arrived! This entry was posted in Factual Opinion, Photography, Seasons, Walking and tagged #autobiographical, #biodiversity, #blog buddies, #blogging, #challenge, #colour, #flowers, #fun, #green, #photography 📷, #plants, #red, #spring, #weekend, #yellow, blossoms & blooms, postaday, Subtle Sunday, Walking. Bookmark the permalink.